We are one of the leading manufacturer, supplier & exporter of Crane Scales. distance between scale & indicator 50m (approx). Maximum safety overload 125% F.S. 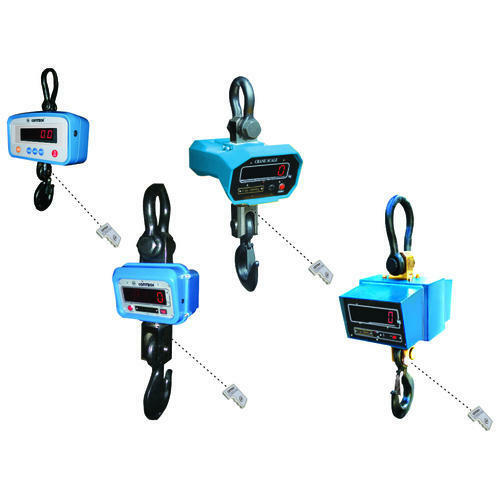 We are the leading manufacturers of Wireless Transmission High-Temperature Thermal Crane Scales. Special design for high-temperature thermal insulation use, with normal operation, at least 2m away from heat radiation source at 1500oC. U-shaped structure with the compression-typed sensor. Wireless transmission distance between scale & indicator is 50m (approx). Maximum safety overload: 125% F.S. 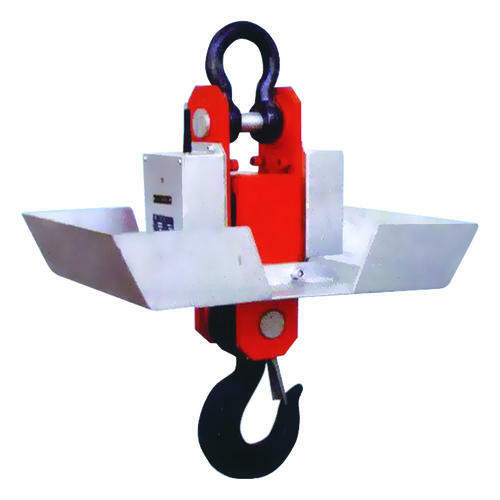 Our company specializes in providing our clients with the best possible types of Heavy Duty Crane Scales. This equipment finds its use in many large-scale industries. The product is so designed so as to give maximum output and accurate result in the required time. Our clients get to choose from a wide range of options at a very reasonable price. Wireless transmission maximum operating distance from the Indicator is 100 mtr. Graphical backlite LCD display in the Indicator. MODELS CAPACITY ACCURACY DIMENSION NET WT. 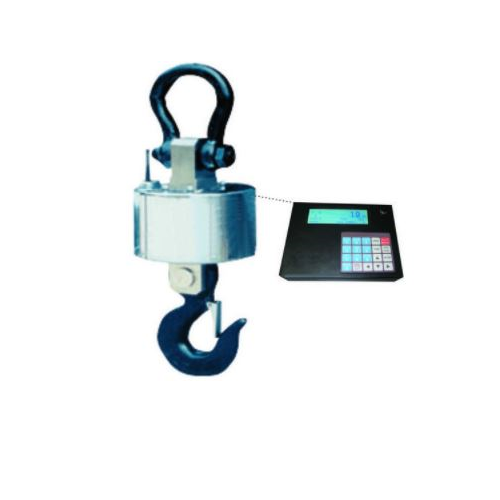 Our company is one of the leading trader as well as a manufacturer of Crane Scales with Wireless Transmission. We design this equipment as per the specification required in the industrial sector and are tested for accuracy as well as protection from high temperature. The equipment we offer is available at a very reasonable price. Special construction for high temperature shielding. Minimum distance for normal operation is 2 mtr from a heat radiation source at 1500oC. 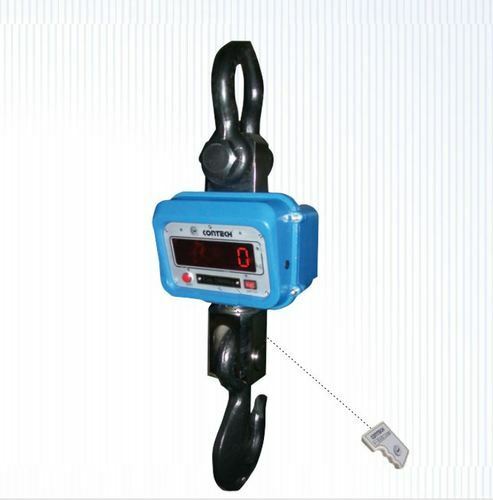 We are the leading manufacturer as well as supplier of the best in quality Standard Crane Scales. This particular equipment can be used for lifting heavy weights in the large scale industrial sectors. The equipment is made up of strong die-cast aluminum, which is designed to be durable. Storage of weights in memory upto 100 samples. 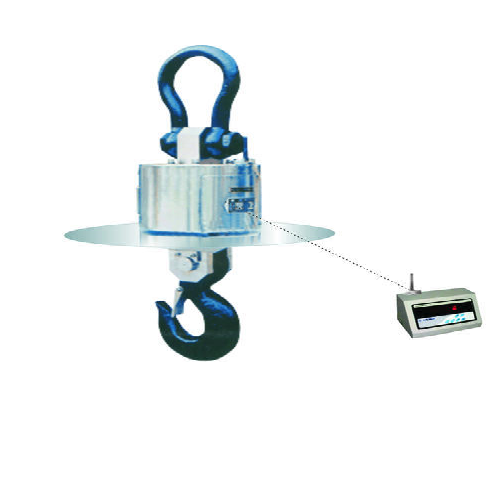 We are a leading name when it comes to the best quality and reliable Crane Scales with Wireless Indicator. 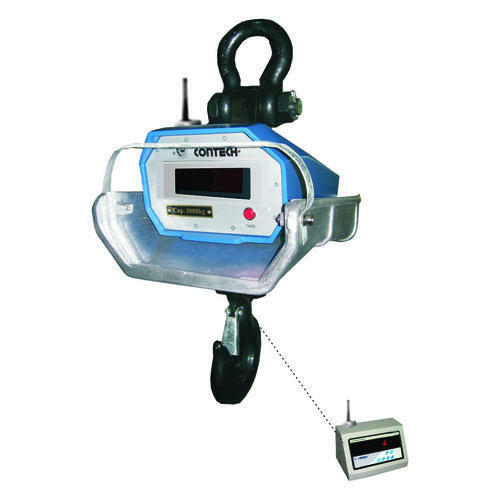 The most important characteristic of this equipment is that it has a wireless indicator for accurate weight display. This indicator has optional battery backup and a LED display. Wireless transmission maximum operating distance between the Scale and Indicator is 50 mtr. 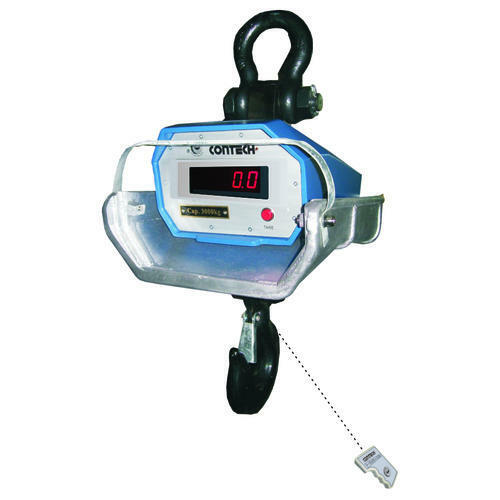 All specifications are same as standard crane scales (CCS) except there is no display on the sale and there is no remote keyboard. Power indication LED on the scale. Battery charger for the loadcell transmitter inside the scale. Weight display on the desktop indicator along with controls. RS-232 interface in the indicator (Optional). Indicator with optional battery backup. We offer our clients supreme quality Crane Scales. The equipment is mainly used in the industrial sector for lifting and measuring weight in special areas where high temperature shielding is mandatory. This equipment are easy to operate and automatic tracking option. Heavy duty aluminum diecast enclosure. a heat radiation source at 1500o C.
Contech offers our clients supreme quality Crane Scales. The equipment is mainly used in the industrial sector for lifting and measuring weight in special areas where high-temperature shielding is mandatory. This equipment is easy to operate and automatic tracking option. Special construction for high-temperature shielding. Minimum distance for normal operation is 2 mtr from a heat radiation source at 1500o C.
Multiple print options with Sr. No, Date, Time & Weight in horizontal/vertical mode.